The colourful October edition of The Franciscan is packed with interesting content. 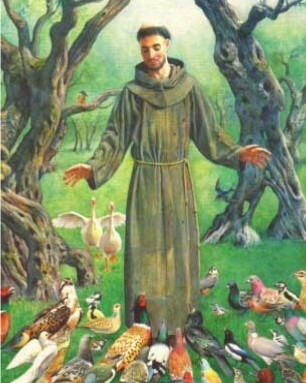 Read a brief account of the life of St Francis of Assisi on page 13, and St Francis’ vision on page 12. Pages 4 and 5 have exciting ideas about recycling, while the St Francis Golf Day is featured on pages 14 and 15. Click here to read the electronic edition (use the arrow keys next to the page to turn the pages). A limited number of printed copies will be available on Sunday 5 October from the church. Happy reading!